Jackie Tohn (G.L.O.W.) stars as a clever grocer who teaches a dishonest judge the importance of being fair and trustworthy. Tamlyn Tomita ("The Good Doctor") and Hudson Yang ("Fresh Off The Boat") star in this Japanese story about a mother and son team with a seriously good sense of humor. Amber Stevens West ("Happy Together") stars as a globe-trotting princess who works hard to keep all of her promises. But in this story, the honest princess's commitment is tested in more ways than one! Max Greenfield ("The Neighborhood," "New Girl") stars in this Russian folktale about the power of music. YouTuber and comedian Joanna Hausmann stars in a Venezuelan folktale about an enterprising young girl and her quest to free the sun. Sela Ward ("Graves," "Independence Day") stars in a traditional English tale about a woman who can't seem to find home sweet home. Hannah Simone ("New Girl") stars alongside her real-life father Naren Simone in a South Asian tale about the power of self-reliance. Whether we’re 3 or 93, we all love a good story. Jason Alexander ("Seinfeld") stars in this classic Yiddish folktale. Marsai Martin ("Black-ish"), Miles Brown ("Black-ish"), and NPR's own Ofeibia Quist-Arcton star in this story about a brother and a sister who are prepared to do just about anything in order to get along. Tony Hale ("Veep," "Arrested Development") stars in a German folktale about a royal advisor whose dishonesty gets him into a royal mess. Kathryn Hahn ("Bad Moms") stars in the encore presentation of a Romanian folktale where a clever mother does her best to outwit a powerful dragon. Noah Schnapp ("Stranger Things") stars in a story about a prince, a barber, and a secret that was impossible to keep. Shankar Vedantam (NPR's "Hidden Brain") retells an Indian folktale about a young girl whose generous heart takes her on a surprising adventure. Kelly Hu ("Dietland") and Albert Tsai ("Dr Ken," "9JKL") star in a Chinese folktale about a mother, her three sons, and a very special magic cloth. 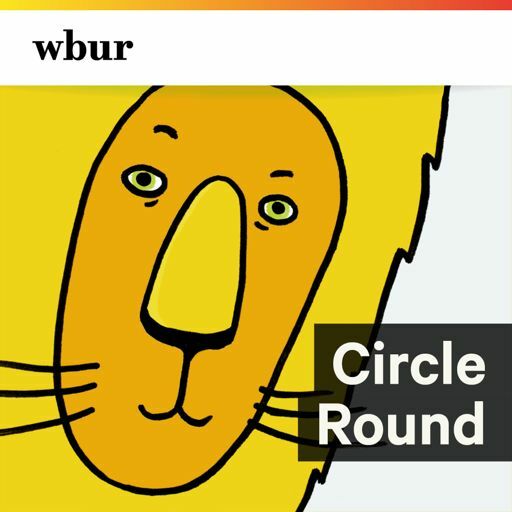 Ever wonder what instrument you're hearing during your favorite 'Circle Round' story? Well, you're about to find out! Max Greenfield ("The Assassination of Gianni Versace: American Crime Story") stars in this Russian folktale about the power of music. Ray Magliozzi ("Car Talk") reminds us that heroes come in all shapes--and sizes. NPR's own Ari Shapiro and Wade Goodwyn star in a Thai folktale that explores the power and universality of empathy. Rachael Harris ("Lucifer," "Suits") and Taran Killam ("Nature Cat," "Killing Gunther") star in a classic Swedish tale about a little boy who learns that--with a little hard work--dreams can come true. Bridget Moynahan ("Blue Bloods") re-tells this Czech folktale about a clever young woman who uses her intelligence to win the hearts of her town. Lou Diamond Phillips ("Longmire," "33") and Jon Jon Briones ("Miss Saigon") star in the classic Filipino folktale "Why The Ocean is Salty." Kathryn Hahn ("Bad Moms Christmas") stars in this Romanian folktale about a clever mother and her quest to outwit a powerful dragon. Whether we’re 3 or 93, we all love a good story. Jason Alexander ("Seinfeld") stars in our first episode, a classic Yiddish folktale.